Eurostar, the high-speed rail service linking the UK and mainland Europe, will be unveiling a range of critically acclaimed Amazon Prime Video content on board its fleet of e320 trains via the new app. 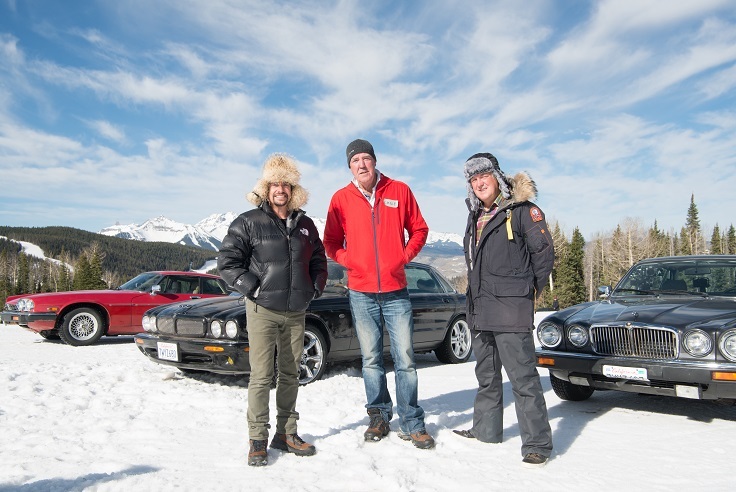 The Grand Tour: Featuring Jeremy Clarkson, Richard Hammond and James May, travellers will be able to view the first three episodes of the global hit. The catalogue will be refreshed on a regular basis to offer passengers a wide range of exclusive Prime Video shows. Prime Video: Thousands of popular movies and TV episodes, to stream or download, including Amazon Originals and Exclusives like American Gods, based on the award-winning novel by Neil Gaiman; Preacher starring Oscar nominated Ruth Negga and Dominic Cooper; Sneaky Pete, executive produced by Bryan Cranston; Goliath, starring Billy Bob Thornton; 2016 BAFTA winning Transparent; Ridley Scott produced The Man in the High Castle; 2016 Golden Globe® winning MR. ROBOT; Bosch, based on Michael Connelly’s best-selling books; all series of Ripper Street and Clarkson, Hammond and May show The Grand Tour. Plus, must-see films like Elf, Nativity, The Holiday and more. Prime Video is also now available to customers in more than 200 countries and territories around the globe. Amazon Channels: Allowing Prime members to add over 40 individual channel subscriptions including Discovery, Eurosport Player, hayu and others to their Prime Video viewing experience for an additional low monthly subscription fee, without the need to sign up for a bundle or enter a lengthy contract. Rent or Own: Thousands of titles, including new-release movies and current TV shows available for on-demand rental or purchase for all Amazon customers. Watch Anywhere: Instantly watch anytime, anywhere through the Amazon Video app on smart TVs, mobile devices and tablets, Amazon Fire TV, Fire TV Stick, Fire tablets, on Xbox, PlayStation, Wii and Wii U, and through the web at www.amazon.co.uk/primevideo. Premium Features: Top features like 4K Ultra HD, High Dynamic Range (HDR) and mobile downloads for offline viewing.